You can also get your friends to call Congress to oppose Trump’s infrastructure plan and support undocumented youth walking from New York City to DC. The House could vote this week on the ADA Education and Reform Act (HR 620), a bill that would gut the historic Americans with Disabilities Act (ADA). HR 620 would put the onus on people with disabilities to educate and confront non-compliant businesses and would allow those businesses to remain inaccessible for years without penalty. Call your representative in the House at 202-224-3121 and demand that they reject HR 620. 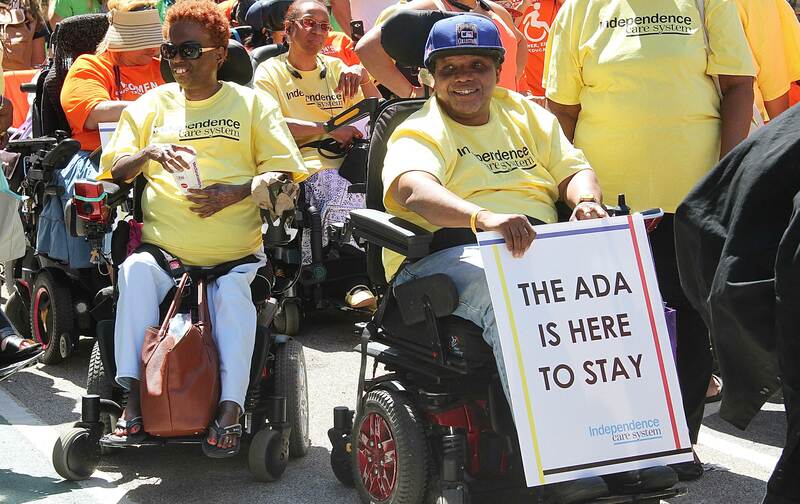 You can find more information from ADAPT here and from the ACLU here. Organizers across the country are fighting back after President Trump revealed an infrastructure plan geared to help big business, not the American people. Join them by getting at least five of your friends to call their members of Congress. Email them Color of Change’s call tool, share it on Facebook, or tweet using the hashtags #InfrastructureScam and #MillionsofJobs. Beginning on February 15, undocumented youth and allies will be walking the 250-miles from New York City to Washington, DC to demand a clean Dream Act and to uplift the stories of immigrants. You can support “The Walk to Stay Home” by walking for a time, providing a space to house walkers, hosting a solidarity event, or simply donating money or supplies. Sign up here and organizers will be in touch with next steps.